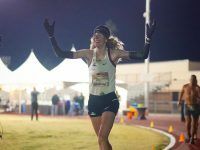 A written interview with Camille Herron after she set the 24-hour world record at the 2018 Desert Solstice Track Invitational. 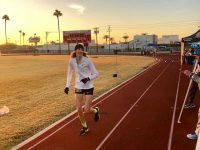 An interview with Gina Slaby after she set a 100-mile world record at the 2016 Desert Solstice. 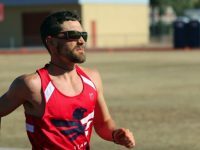 Zach Bitter’s report from setting a track 100-mile American record at the 2015 Desert Solstice 100 Mile and 24 Hour Track Invitational. 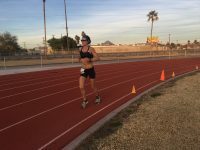 Pam Smith’s 100-mile track world record race report from the 2013 Desert Solstice 24-hour race. 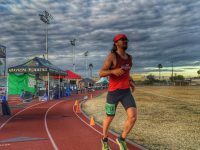 Zach Bitter’s race report from his 100-Mile American record and Track 12-Hour world records at the 2013 Desert Solstice 24-hour race. 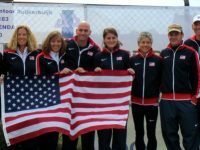 A look at the recent revival of fast American ultrarunning.